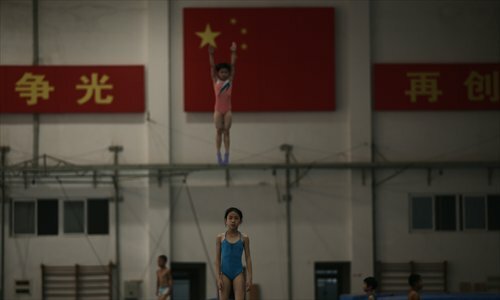 Around 95 percent of China's Olympic gold medalists attended one of the country's 2,183 physical education schools. In 1990, there were 3,687 such schools. "In the 1980s and 1990s, schools like ours were attractive," said Huang. At that time, the subsidies and incentives offered by these schools were highly valued. "However, if children can cope with school work, most parents these days do not wish to send them to sports schools. We're lacking students because society places more importance on academic education," Huang added. The debate over the sports school system reignited around the 2008 Beijing Games. Many were concerned that retired athletes lacked the education needed to be successful outside the world of sport, and worried about the need to balance children's physical and intellectual education. In China, the dogmatic ideology is that education and training are two separate routes. "If you want to become a world champion, you couldn't study anything else. This is totally wrong. In this way, not many could reach the top," said the principal Sheng Maowu.